While California officials warned this could be worst fire season in one hundred years and yesterday brought us 19 dead firefighters in Arizona, this is not a wildfire. 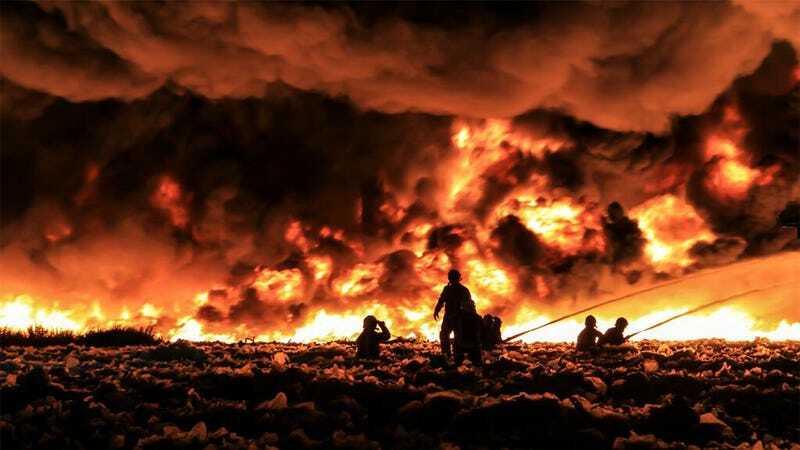 These terrible—albeit eerily beautiful—images were captured yesterday in England by the West Midlands Fire Service while battling a massive blaze being fed by an astounding 55,000 tons of paper and plastic. The fire is burning in a recycling plant. According to the firefighters, nine of which have been injured already, it was caused by a Chinese lantern and it may last for days.